The Alliance of Women Film Journalists (AWFJ) announced the winners of their annual EDA Awards, with The Shape of Water winning in both the Best Film and Best Director (Guillermo del Toro) categories. Sally Hawkins’ performance in the fantasy romance also earned the organization’s Bravest Performance award. 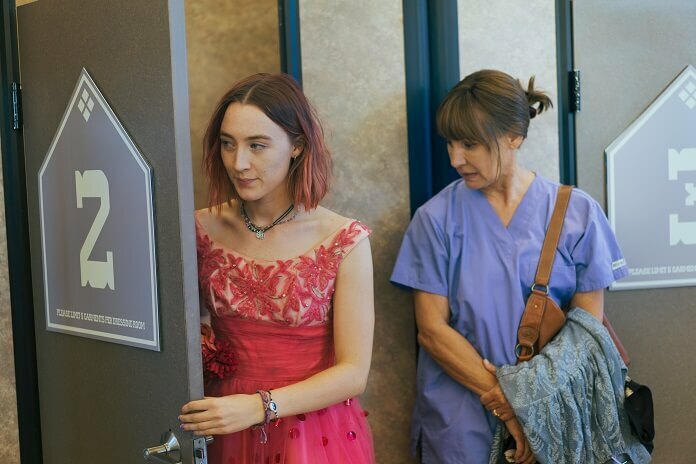 Lady Bird was also honored with three wins, two of which went to Greta Gerwig for Best Woman Director and Best Woman Screenwriter. The Florida Project was also among the films that earned multiple EDA Awards. Willem Dafoe was voted Best Supporting Actor for his outstanding performance as a motel manager, and young Brooklynn Prince earned the AWFJ’s Best Breakthrough Performance award. In addition to the standard awards categories, the EDA Awards also select winners in special categories including Outstanding Achievement by a Woman in the Film Industry and Hall of Shame. This year the Alliance of Women Film Journalists members* chose to honor all of the women who bravely spoke out against sexual harassment. The Hall of Shame Award went to all of the men who were finally exposed as sexual tormentors including Harvey Weinstein and Kevin Spacey.